Thank you for choosing to submit your paper to ACTA Press. On this page, you can find instructions to help move your paper smoothly through peer review, production, and publication. Please follow the instructions thoroughly to ensure your paper matches our journal requirements and to avoid any delays due to formatting issues. NOTE: Submission of a manuscript implies that the work described has NOT been published before in any format and is NOT under consideration for publication anywhere else. Authors wishing to include figures, tables, or text passages that have already been published elsewhere are required to obtain permission from the copyright owner for both the print and online format and to include evidence that such permission has been granted when submitting their papers. 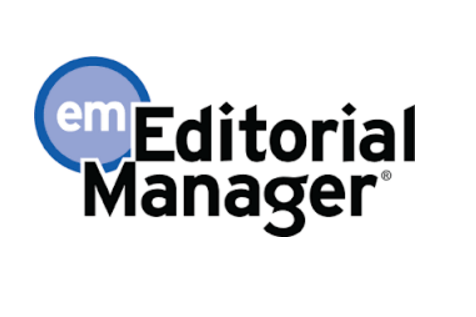 ACTA Press uses Editorial Manager (EM), an online manuscript managing system developed by Aries Systems and adopted by over 2800 journals. Please read the Editorial Manager Tutorial for Authors before making a submission. The formatting specifications for both initial paper and final paper submissions are identical and must be followed exactly. All papers must be written in English using British or Canadian. Abbreviations are spelled out at first mention, but not thereafter unless there is good reason to do so. For editorial guidelines, refer to The Chicago Manual of Style, seventeen edition, The University of Chicago Press, 2010. Initial and final papers must contain the following sections: title, abstract, key words, introduction, body, conclusion, and references. Final papers must also include author information (under the title) and biographies (at the end of the paper). Author information is to include each author’s full name, affiliation, postal address, telephone number and email address. One author will need to be identified as the corresponding author. The biography section is mandatory for the final paper and must NOT be present in the initial paper. An acknowledgements section is optional. Maximum 16 pages (double-spaced, single column, 12-point font), inclusive of illustrations. NOTE: Authors must submit the final paper in the same format as the initial paper. We request that you go through the initial paper checklist or the final paper checklist of formatting specifications and check off each item as it is completed. Compliance with these formatting instructions will expedite the publication process and ensure high-quality publication of your work. You are asked to use our initial paper checklist and initial document template (Latex or Word template) when submitting your paper to ACTA Press. The initial paper and the revised paper MUST be submitted as a Microsoft Word file (“*.doc” and “*.docx”). Upon submission, a reference number will be assigned to the paper that is to be used in all future correspondence. Authors will be required to suggest two potential reviewers for all new manuscript submissions. Authors should also check their papers for originality before submitting the manuscripts to ACTA Press. Click HERE to access recommended plagiarism check programs. Data included in this file is used to populate information for you later in the submission process. If your paper is accepted, we will ask that you send us a copy of your final paper. Ensure that your final paper is in double-spaced, single column format (same formatting requirements as initial paper submissions). Use our final paper checklist and final document template (Latex or Word template) when making your submission. •	PDF file and LaTex file. NOTE: Camera-ready copies will NOT be accepted. If high-resolution figures are not already embedded in your final paper, an electronic copy of your figures must be sent along with your final paper. Acceptable figure formats include high-resolution JPEG, TIFF, EPS, PSD, and PDF. Include a brief biography for all authors at the end of your final paper. Small passport-size photographs of the authors should also be included. ACTA Press uses Editorial Manager to manage the peer-review process. If this is your first time submitting a paper to ACTA Press, you will be asked to create an account in the submission centre. If you submitted a paper to ACTA Press prior to 2018, you will be asked to update your profile in Editorial Manager’s submission centre and to reset your password. Please read the Editorial Manager Tutorial for Authors before your submission. Your final paper will be sent for copyediting and typesetting. Once this has been completed, you will receive a copy of the paper from the typesetter, which you must carefully proofread. Pay particular attention to the equations. After noting any errors and indicating the corrections to be made, return the paper as an email attachment to journals@actapress.com and to the typesetter. All fees must be paid in United States dollars (USD). There are no submission fees unless you choose to publish your paper as open access. The publisher will reformat the final paper submitted by the author into the publication format (single-spaced, double column, 12-point font). If it exceeds eight printed pages, including illustrations, but excluding author biographies, there is a charge of $100.00 per additional page. Authors may estimate their final page count by converting their papers to our publication format. We strongly advise authors to reformat their paper into the publication format only for the purpose of estimating the page count (but do NOT submit it in this format). Submissions will ONLY be accepted in our submission format: double-spaced, one column, 12-point font. We will contact the corresponding author if a paper exceeds the eight-page limit. The extra-page fees must be paid in full before we publish the paper. Please contact ACTA Press (journals@actapress.com) for the exact amount. NOTE: Extra-page charges will be waived for papers written by authors from institutions that subscribe to the journal in question. ACTA Press has a zero-tolerance policy on plagiarism. An advanced plagiarism detection software called iThenticate is used to check each submitted paper and ACTA Press will investigate every allegation of plagiarism. If a submitted paper has been plagiarized in whole or in part, the paper may be rejected and the author prohibited from submitting papers to ACTA Press in the future. The Editor-in-Chief may require the author to include a full citation to the original paper and make modifications to the submitted paper to include a discussion of the original paper; or the paper will be rejected. ACTA Press is actively engaged with Open Access. Both our fully Gold OA and our hybrid journals allow articles to be published quickly, unlimited, free, and open access for all interested parties. This gives the authors’ work maximum exposure within the academic community and promotes the sharing of research and ideas to the widest possible audience. The costs of publishing Gold OA are paid through an article processing charge (APC). Authors or their funders are responsible for making the payment of APC right after their paper is accepted for publication. Our APC fees range between $450 and $850 USD depending on the journal with prices clearly displayed on journal homepages and on our APC price list.